ORLANDO, FL – Tiger Woods for the first time in 30 months has won the PGA Tour and no one was happier than Woods himself. ENGLEWOOD, CO – Peyton Manning is now officially a Denver Bronco making him the the highest paid player in an historical NFL deal worth a reported $96 million over 5 years. Pat Bowlen, Peyton Manning and John Elway at press conference announcing Peyton Manning as Denver Bronco’s new quarterback, March 20, 2012. According to ESPN, Peyton Manning has made his choice to become the new NFL quarterback for the Denver Broncos. Peyton Manning chooses the Denver Broncos. Tim Tebow to be traded. Veteran NBA guard, Derek Fisher, has been traded by the Los Angeles Lakers to the Houston Rockets in exchange for forward Jordan Hill, according to Yahoo! Sports. Derek Fisher traded by Los Angeles Lakers to Houston Rockets on March 15, 2012. Will Peyton Manning Join Tennessee, Denver or Arizona? NASHVILLE, TN – It’s no secret that the Tennessee Titans along with the Denver Broncos and Arizona Cardinals all want Peyton Manning as their quarterback, but who will he choose? INDIANAPOLIS, IN – In an emotional news conference Wednesday afternoon, Indianapolis Colts owner Jim Irsay announced that his team will release Peyton Manning. Irsay made the decision to part ways with the NFL icon feeling that he made the right call. PALM BEACH GARDENS, Fla. – Rory McIlroy became golf’s No. 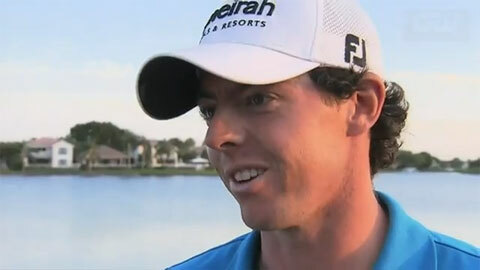 1 player in the world after he held off Tiger Woods to win the Honda Classic, making McIlroy’s new No. 1 ranking well deserved. DAYTONA BEACH, Fla. – Danica Patrick appears OK after spinning out on her last lap at the Daytona International Speedway Thursday slamming nose first into a wall going nearly 200 miles an hour.